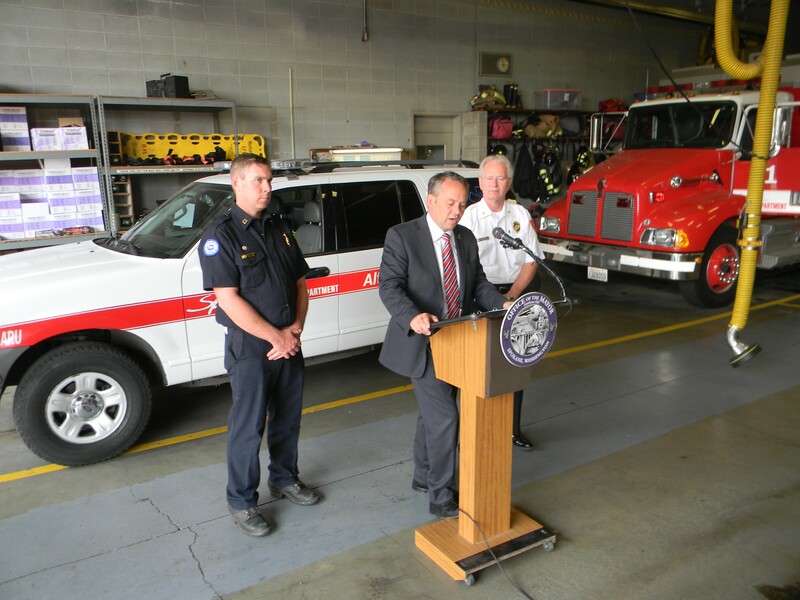 The fire department will resume its Alternative Response Unit program, which sends smaller sport-utility vehicles to non-life-threatening medical calls, as a result of the city finalizing an agreement with the local firefighters union. Standing with Fire Chief Bobby Williams and Don Waller, president of the local firefighters union, at Fire Station No. 1 in downtown Spokane yesterday, Mayor David Condon announced a sweeping deal between the union and the city that would allow the program to move forward while also resolving other lingering issues. “Today is a major step forward for medical service in our community,” said Condon. “We are maximizing resources by sending the right people to the right place at the right time." Nearly 90 percent of the 35,000 annual calls for service to the fire department are medical in nature. The idea behind the ARU program is that most of these calls can be addressed more efficiently with smaller SUVs rather than larger gas-guzzling firetrucks and engines. The new agreement was prompted by an ordinance passed by Spokane City Council last month that mandated that the ARUs be staffed by two firefighters. The new ordinance was drafted to address concerns that a single firefighter could potentially be ill-equipped for some medical emergencies and could be unsafe if confronted by a violent individual. Speaking at the press conference, Waller said that he hoped the agreement would set a new tone for relations between the city and the union. The agreement, which still needs a few more signatures from union officials before it’s a done deal, also resolves a legal dispute between the union and the city over the hiring of Mike Lopez, who was appointed assistant director of integrated medical services. Spokane City Council President Ben Stuckart praised the agreement and said that it was council’s ordinance that paved the way for an overarching agreement. “That’s our job as a policymakers is to force actions sometimes,” he said.